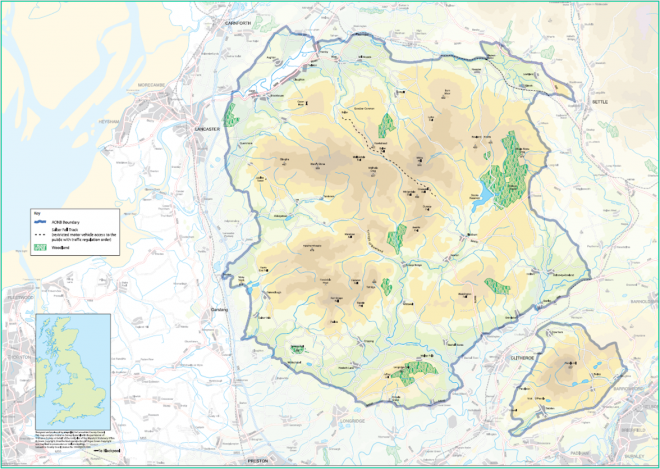 The Birds of Bowland project was developed and delivered by the RSPB on behalf of the Forest of Bowland AONB. Working with every primary school within the AONB between 2008 and 2012, the project involved four sessions with each school, the first three being classroom-based and the final session taking place on one of the educational access farms within Bowland. The sessions were all delivered by RSPB education staff and, following each session, schools were left with a number of activities in preparation for the following session. Feedback from the Birds of Bowland project has been extremely positive and so we are very pleased to be able to share some of the programme resources here. You may need to provide some of the props, such as the hen harrier glove puppets, yourself if you want to follow the sessions closely but the links below will help you to deliver the majority of the programme. What does the Forest of Bowland mean to your group and what do they know about it? What kind of habitats and wildlife would they find here? This session includes a suggested felt making activity to create your own Bowland landscape. Habitats – who lives there? Which are the key species of birds in Bowland? Where do they live? What do they eat and what special features do they have in order to help them live in their particular habitat? Why might birds need to leave the Forest of Bowland for part of the year? What distances do they travel and where do they go to? What hazards might they face on their journey?